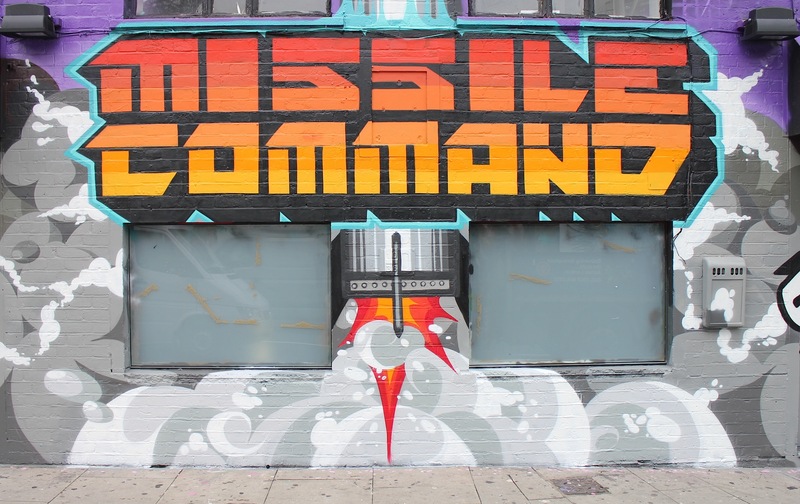 Atari and Microsoft IE teamed up to bring you re-imagined games available to play on Microsoft Internet Explorer browser window. 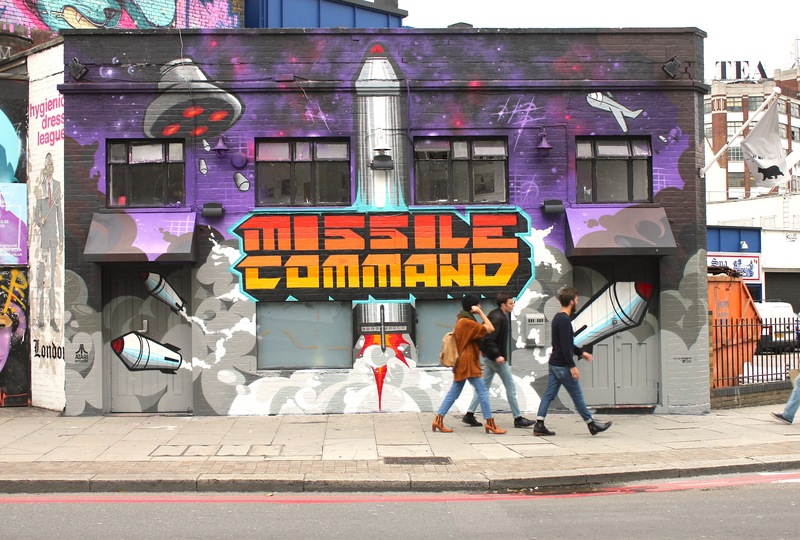 Working alongside Rarekind Ldn we were commissioned to paint a large-scale promotional mural in the Old Street area of London. 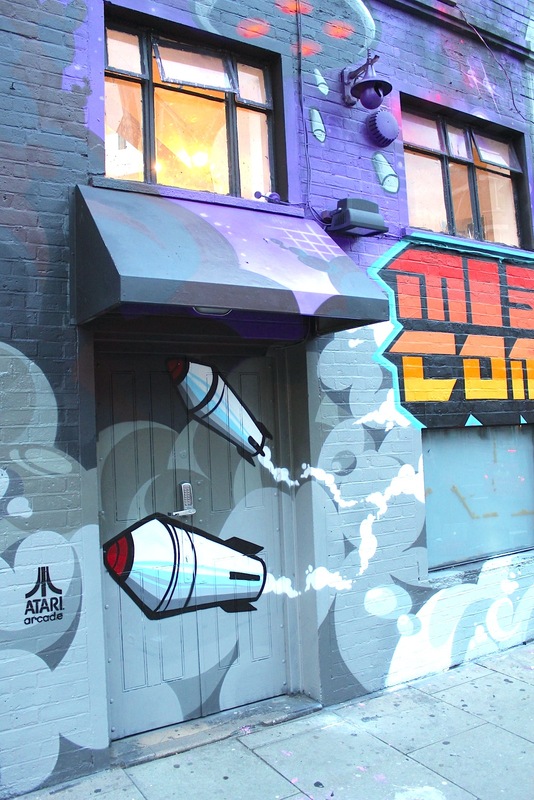 To raise awareness of the collaboration between Atari and Microsfot IE, with a public mural and a viral film, in the run up to the launch. 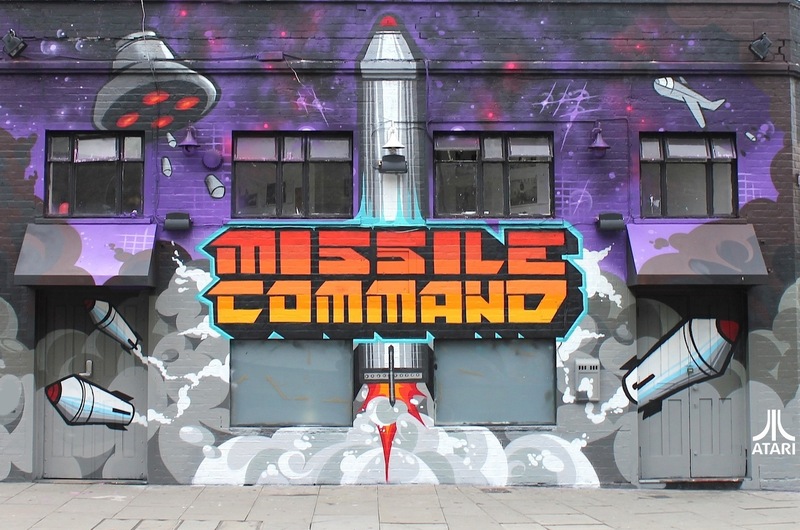 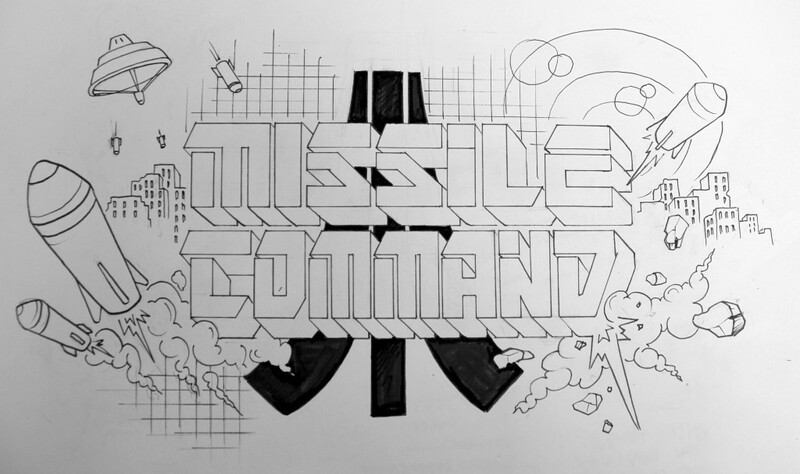 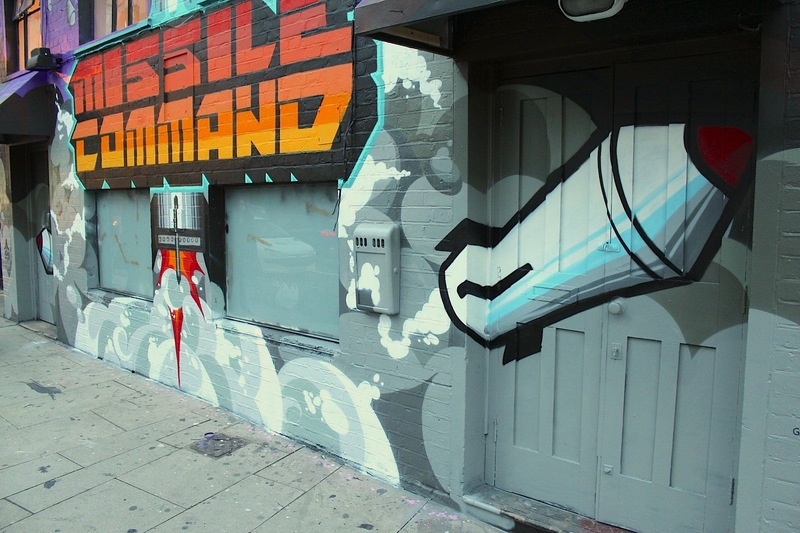 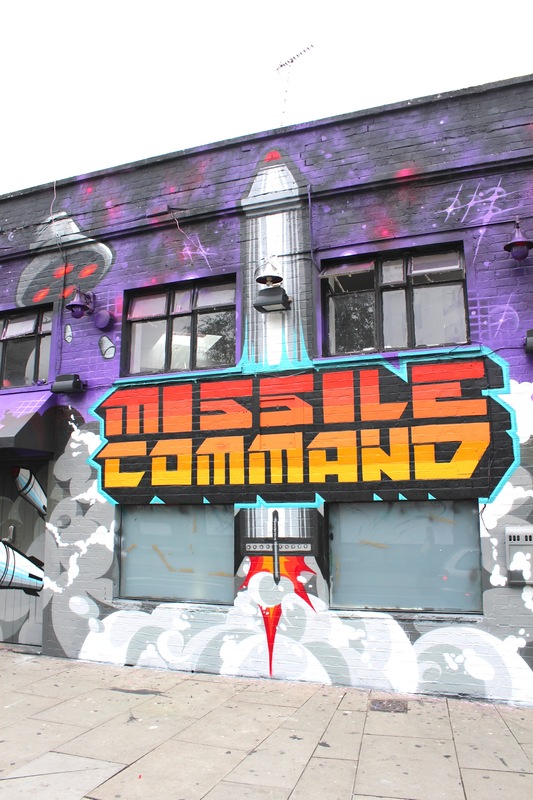 After choosing an Atari Arcade game, in this case “Missile Command” a sketch was prepared based on the games graphics. 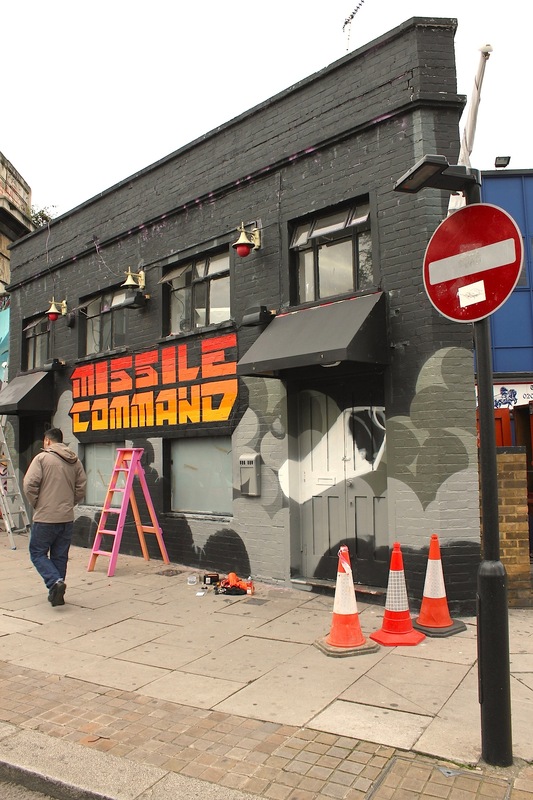 We were then given two days to produce the painting whilst being filmed, which became a subsequent time-lapse promotional video with over 30,000 views.